Seniors are one of the most at risk groups of people for falls. This can be due to many different factors. Some of the most widely recognized are poor health, decreased strength, poor balance, poor vision and altered mental state. Any one of these factors can result in a fall. In most cases it’s a combination of several of these factors that puts seniors at most risk. A fall can lead to a whole range of different injuries. This includes sprains and strains. It also includes more serious injuries such as dislocations, or fractures. Falls can exacerbate pre-existing health conditions. This could lead to heart attacks or strokes from the trauma. Previous falls can also lead to substantial fear of falling. This can prevent people from venturing outside the home and being active. This in turn, can lead to a poor quality of life. 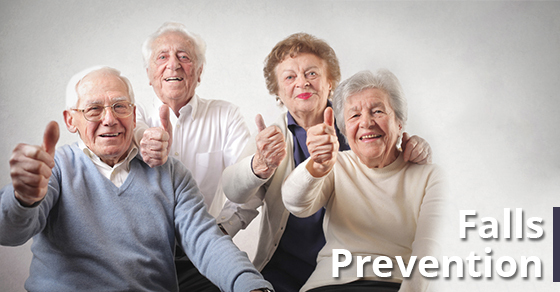 Falls prevention is a very important type of rehabilitation that can be provided by a Registered Physiotherapist. The major parts of this Registered Physiotherapy program would include: education and an exercise program. The program would work to increase overall strength and improve balance for those at risk. 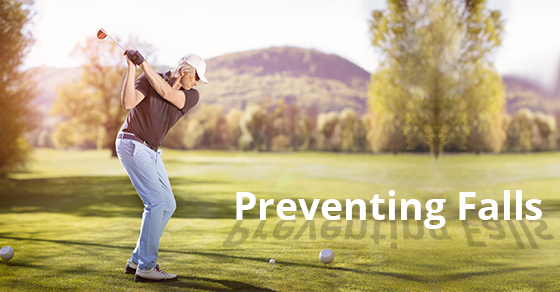 Education needs to bring awareness about specific risk factors and how to minimize them. The Physiotherapist would also assess balance and look for the presence of Vertigo. In the case of poor balance, a gait aid, such as a cane or walker may be recommended. Special exercises for vertigo may be given if it is present. Footwear may also be assessed. Lastly, the type of home, the number of stairs, the presence of area rugs and any other types of clutter would be addressed to make the home a safer place. The physiotherapist would design a specific strengthening program. This would aim to improve endurance, function and mobility. It would also work to improve balance so that an individual is less likely to fall. All of our qualified physiotherapists at PhysioNow can provide falls prevention Physiotherapy and prevent serious injury. This can really improve the overall wellness and quality of life for seniors. Our goal for you is to keep you doing all of the things that you enjoy doing! Call today for your Falls Prevention Assessment 289-724-0448.